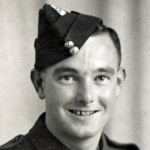 Lance Corporal Frank Appleyard MM died during operations at Normandy on D Day. 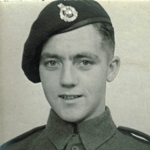 In July 1943 he was awarded the MM for gallant and distinguished services in Sicily whilst serving as a Marine in the 7th Batallion, Royal Marines. 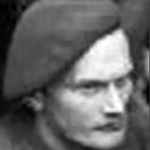 Regimental Sergeant Major Ernest Belcher died during operations at Normandy on D Day. The announcement of his award of the BEM (Military Division) was made 2 days after his death. London Gazettes Supp. 36544, page 2594. 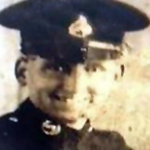 Marine William Boardman died during operations at Normandy on D Day. Marine Albert Botley died during operations at Normandy on D Day. 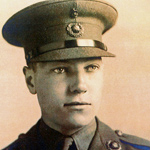 Lieutenant David Boulton died serving with the Durham Light Infantry during the Battle of Lingevres. 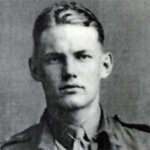 Marine Frederick Bourne died during operations at Normandy on D Day. 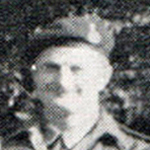 Sergeant John Cappleman died during operations at Normandy on D Day. 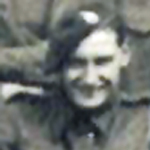 Sergeant William Coulter died during operations at Normandy on D Day. 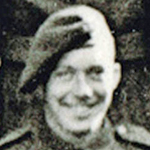 Lieutenant Edward Curtis, 'B' troop, died during operations at Normandy on 'D'Day. 'B' tp reports "Deathshead" clear, they had found it unoccupied, and suffered only one casualty (Lt.Curtis) wounded by own naval supportive fire. 48 RM Cdo. War Diary, National Archives file ADM 202/111. 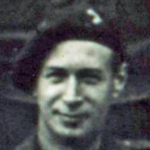 Marine Francis Dewhurst died during operations at Normandy on D Day. Marine Arthur Drew died during operations at Normandy on D Day. Marine Gerard Edwards died during operations at Normandy on D Day. 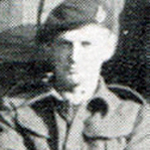 Private Leslie Emblem died during operations at Normandy. Marine William Fereday died during operations at Normandy on D Day. Marine William Ford died during operations at Normandy on D Day. Marine Walter Fox died during operations at Normandy on D Day. 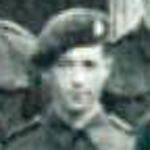 Corporal Arthur Hilton died during operations at Normandy on D Day. Marine Charles Humphreys died during operations at Normandy on D Day. 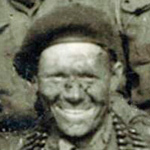 Marine Caley Hunter, ‘A’ Troop [*], died during operations at Normandy on D Day. 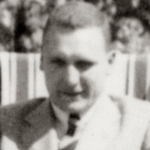 [*] ‘They did what was asked of them’ author Raymond Mitchell. 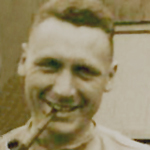 Marine William Jackson , ‘B’ Troop*, died during operations at Normandy on D Day. 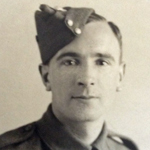 Sergeant Edward Jehu died during operations at Normandy on D Day. Marine Alfred Johnson died during operations at Normandy on D Day. 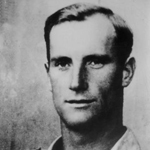 Captain Frederick Lennard, 'Z' troop, died when his Landing Craft struck beach defences at Normandy on D Day. 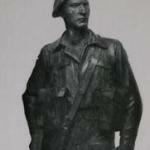 He drowned attempting to swim to the shore under heavy enemy fire. 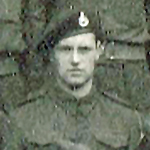 Corporal Stanley Maule died during operations at Normandy on DDay. Marine Gerald McCain died during operations at Normandy on D Day. 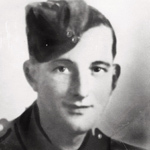 Marine John McLaughlan died during operations at Normandy on DDay. 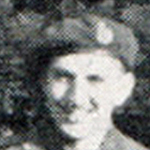 Private William Meredith died during operations at Normandy. 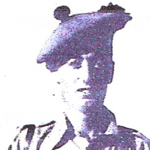 Able Seaman Edward Mooney, RN Beach Commando 'P', died during operations at Normandy . 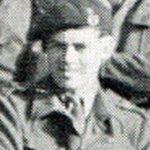 Beach Commando 'P' was attached to Force 'J' for Operation Overlord . History of 'Peter' section RN Cdos National Archives file DEFE2/987. Leading Seaman Patrick Moran, RN Beach Commando 'S', died during operations in Normandy. He received a posthumous Mention in Despatches. London Gazettes Supplement 36676, page 4008. Corporal Albert Moss died during operations at Normandy on D Day. 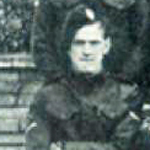 Corporal Bernard O'Boyle died during operations at Normandy on D Day. 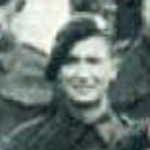 Marine John Parkinson died during operations at Normandy on D Day. 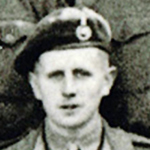 Captain James Perry was killed by a sniper's bullet during operations at Langrune, Normandy. There is a street called Rue du Capitaine Perry named in his memory in the village. 48 RM Cdo War Diary, National Archives file ADM/202/111. Marine Joseph Polley died during operations at Normandy on D Day. 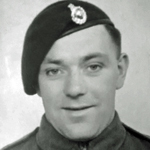 Marine William Redman died during operations at Normandy on D Day. Marine Stanley Richardson died during operations at Normandy on D Day. 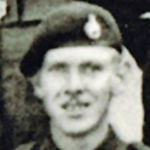 Lieutenant Frederick Rigby, 'Z' troop, died when his Landing Craft struck beach defences at Normandy on D Day. He drowned attempting to swim to the shore under heavy enemy fire. 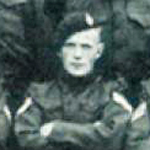 Sergeant Arthur Rush died during operations at Normandy. 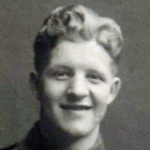 Marine Wilfred Sambrook died during operations at Normandy on D Day.